Stressless celebrates over 80 years of design and innovation with the Signature base with new BalanceAdapt comfort technology. 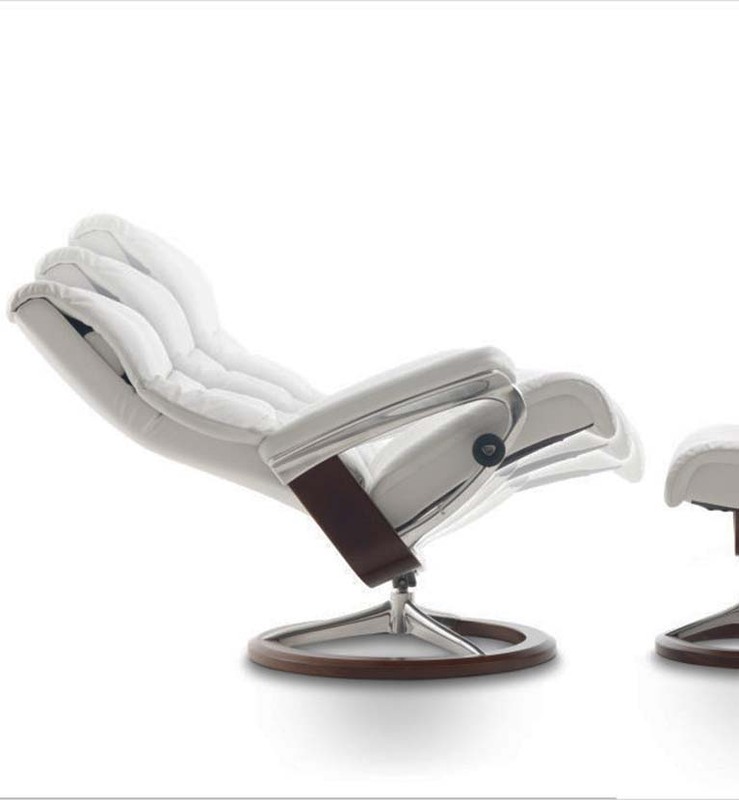 Rock and recline smoothly by balancing with your own body weight. A chrome base with wood accents gives the recliner a more modern look, a contemporary complement to the classic base with its all wood oval design. 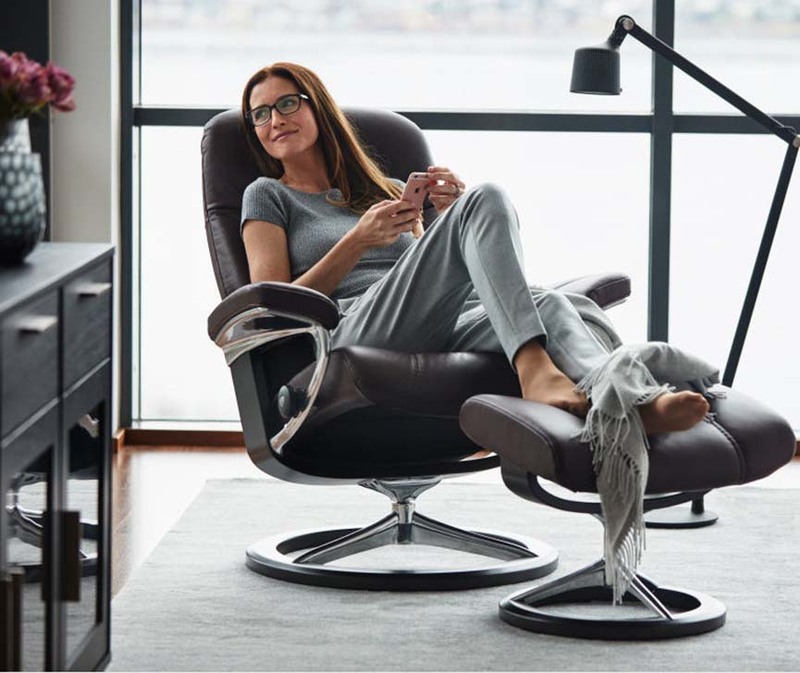 Plus, with its existing patented glide technology and lumbar support system, one learns why Stressless leads the world in providing the ultimate comfort and luxury in a recliner or office chair.